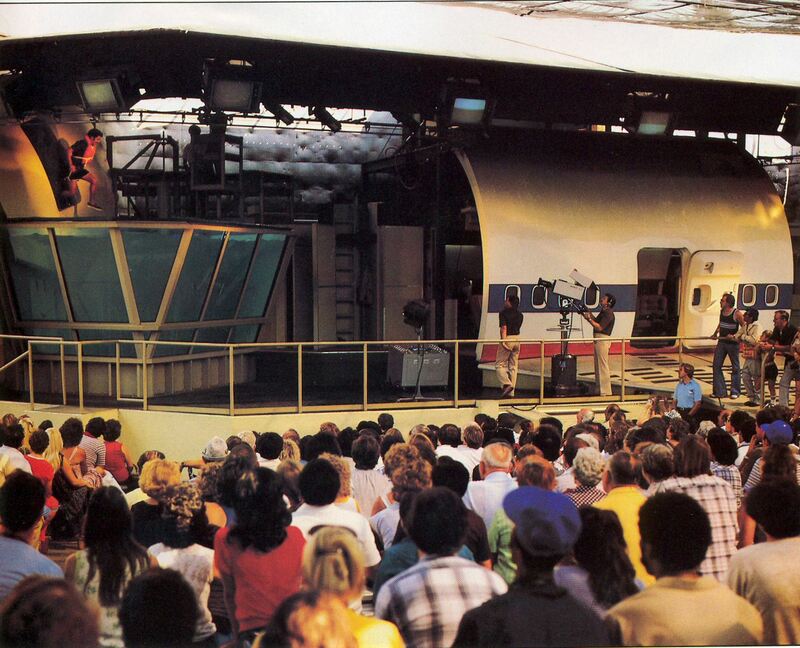 The area used for the Screen Test Theatre was originally the home of the Stunt Show. When it moved to the newly opened Amphitheater in 1971, Stage 70 was built in it's place, and was used to demonstrate some of the techniques used in TV shows such as Adam 12. Next came the Screen Test Theater and a show themed around Emergency! In 1978, after the phenomenal success of Airport '77, in 1978 the area was rethemed. Video technology was relatively new and the thrill of seeing scenes played back just after watching them 'live' was a very real one. The stage consisted of five areas: an exit door above a water tank, a staff only section inside the cabin, a section of the exterior of a jumbo jet which lifted up to reveal the passenger cabin, the air-traffic control tower, and the front of the plane including the flight deck. Survive the crash of a jumbo jet. 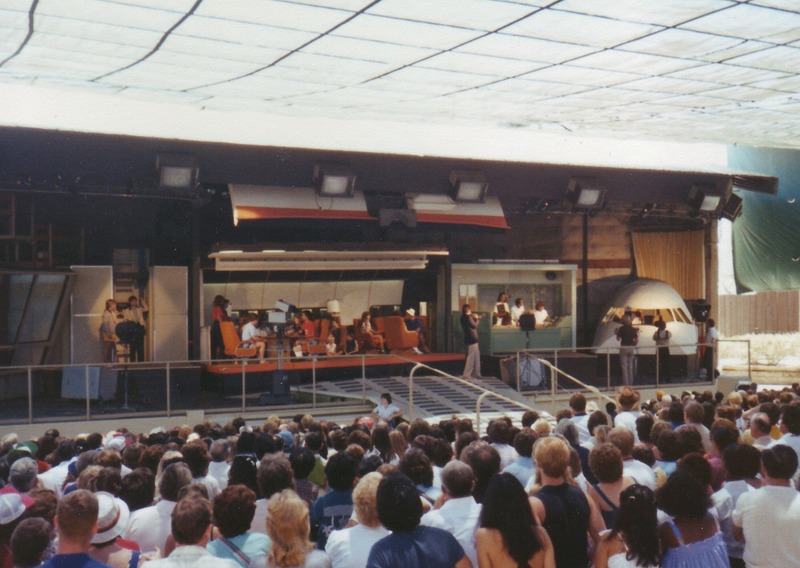 For our special Screen Test Theatre sound stage, Universal has recreated five of the sets used in "Airport '77," one of their blockbuster major films. If you're selected from the audience, you are assigned a part, costumed and rehearsed for your big break in the movies. 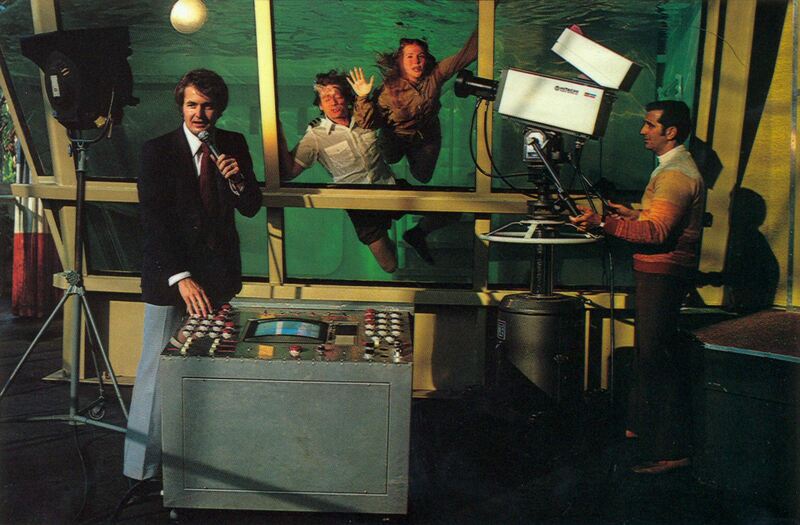 Live video tape cameras roll as you re-enact scenes from the movie, including a terrifying crash and thrilling underwater rescue. 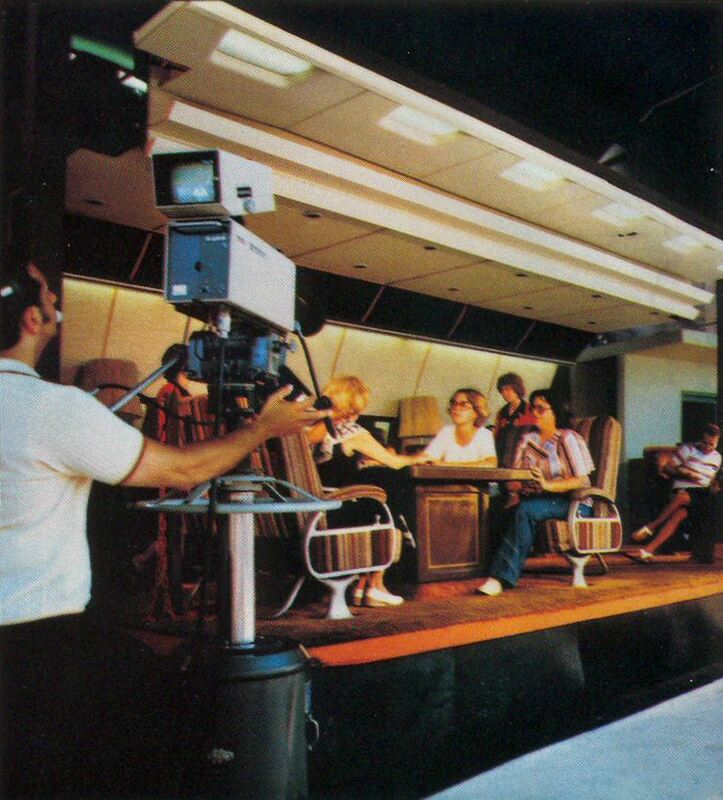 The whole adventure is taped by the Screen Test cameras. They you see yourself in action on the television monitors, only minutes after the director says "Cut! Print!." 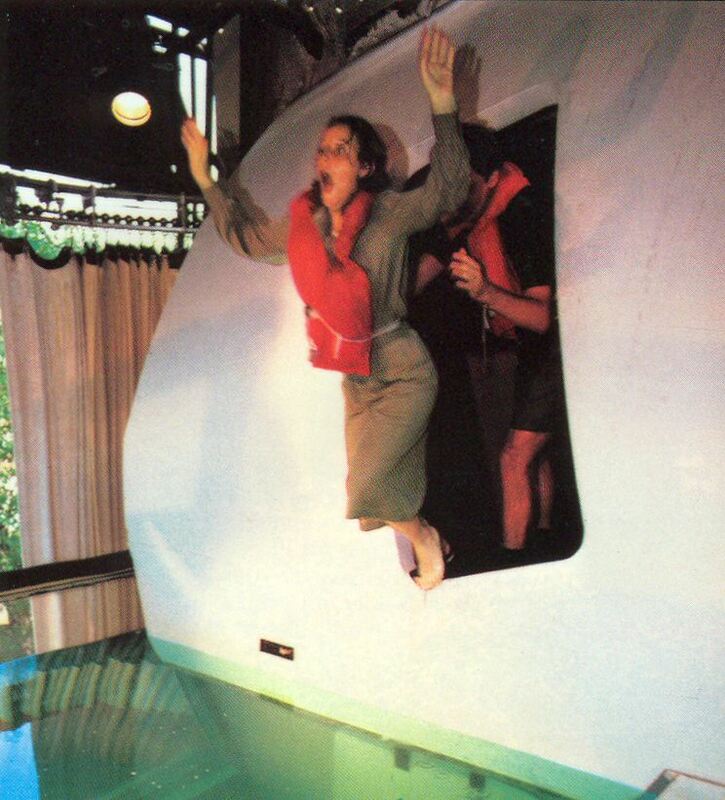 "Tour guests see themselves in exciting sequences which include a flooded cargo hold of a jumbo jet, a passenger cabin that rocks and shakes, and finally a jump to safety into a tank of water representing the mysterious and treacherous waters of the Devil's Triangle!"